IMPORTANT NOTE: To ensure all Pass purchases are shipped and received before the start of the Carnival, online sale of the Full pass Effigy is now over. Please acquire your full pass at the entrance of the Carnival sites between February 8 and 17, 2019. 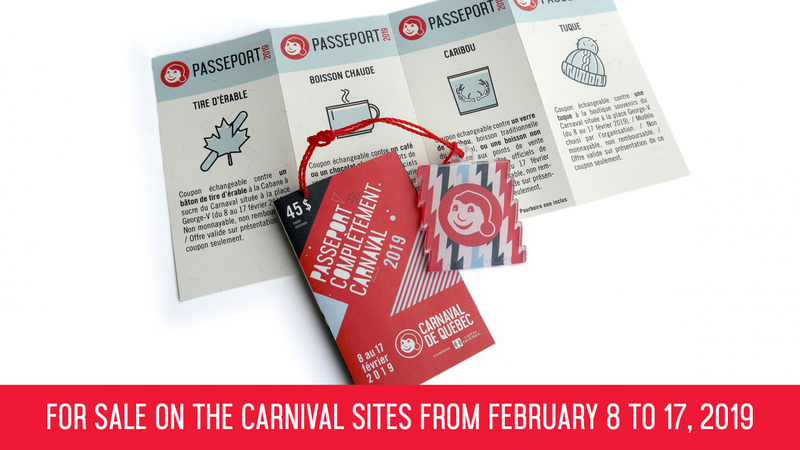 The Pass includes: 1 Effigy, 1 Carnival tuque, 1 stick of maple taffy, 1 glass of Caribou (the traditional beverage of the Carnival) or of a non-alcoholic drink, and 1 coffee or hot chocolate.